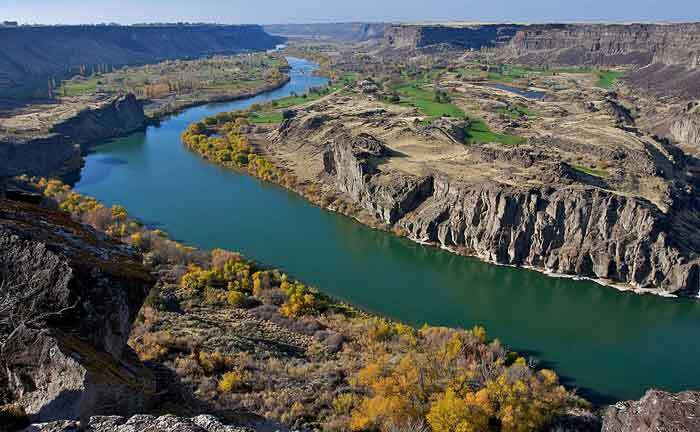 Our Earth has many beautiful natural landforms that attract a ton of tourists each year. For example, the Grand Canyon is a very popular place to visit in the USA that was made due to erosion by water. Let’s learn more about erosion; its causes and effects. Erosion is a process in which things breakdown naturally into smaller pieces or they are transported from one location to another. For example, rock is broken down into very smaller pieces by water and these pieces are transported by wind or water itself from one location to another. Erosion has caused the formation of many beautiful features around the Earth which include valleys, coastlines, and peaks of the mountains. Erosion is caused by natural forces on the Earth such as water, wind, glaciers, gravity, and living organisms. These forces slowing breaks down the large materials such as rocks into smaller pieces, and transport them from one location to other mostly in a downward direction. Many large geological features on the earth can take a few hundred years to a few million years to form by erosion. Let’s discuss the erosion by water, wind, and glaciers in detail. One of the most powerful natural force on the Earth is water which causes significant erosions. These are various ways in which water causes erosion and some of which are rainfall, waves, floods, and rivers. The river usually travels between mountains and carries with them very small pieces of rocks that settle down on the way. The river usually carves a snake shape in the land and the famous Grand Canyon was also formed by a river called Colorado River. Wind is also a powerful natural force that causes significant erosion in dry areas. Wind usually pick dust and sand particles from the land surface and carries them to a large distance before settling. Wind also causes the erosion of rocks by picking sand particle from the ground and hitting the rocks at high speeds. As a result, the rocks gradually become thinner and break into smaller pieces. Furthermore, wind also speed-up the erosion of water by giving the water a push to increase its speed. Glaciers are the giant objects made of frozen water and they move slowly over time as they melt. The movement of glaciers erodes the land and mountains which results in the formation of many features. Glaciers can carve very big features in the mountain and land due to their enormous weight. They also pick and push heavy rocks as they move which further act as cutting tools. Reduction in fertility of soil: Soil that is fertile for crops has most of the nutrients and organic matter on the surface level. When soil begins to erode, the top layer of land that is rich in nutrients for plants is washed away – making the land infertile. Damage: Erosion also causes various natural disasters such as landslides which cause the destruction of houses, buildings, and other structures. It also destroys the seedlings in the land and causes an increased cost to farmers. Erosion can cause many negative impacts on soil and on our environment. Human activities such as deforestation, farming, and ranching have sped-up erosion and the damage caused by erosion has also increased significantly. Today one of the severe erosion in the erosion of fertile land which washes away the precious nutrients required by plants to grow. 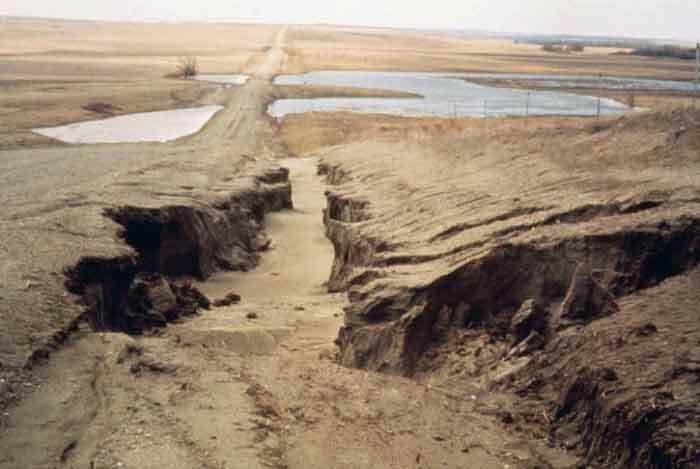 It is estimated that human-caused erosion erodes more than 1 million acres of soil each year. 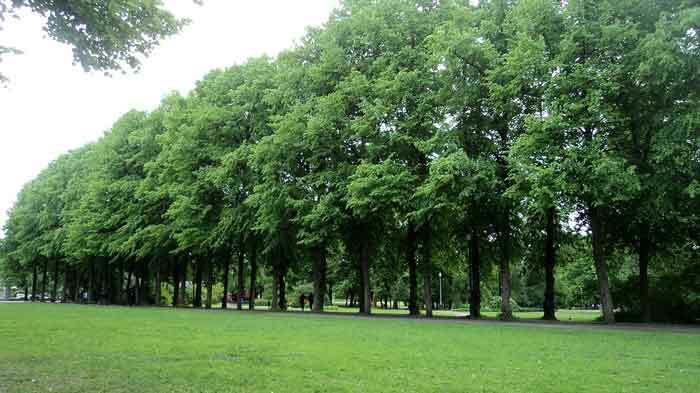 The best way to reduce the erosion of fertile land is by planting trees which resist wind and water from eroding the surface of the land. Heavy dust and sand storms are caused by wind erosion. Many fossils buried in the land has been uncovered by water and wind erosion. 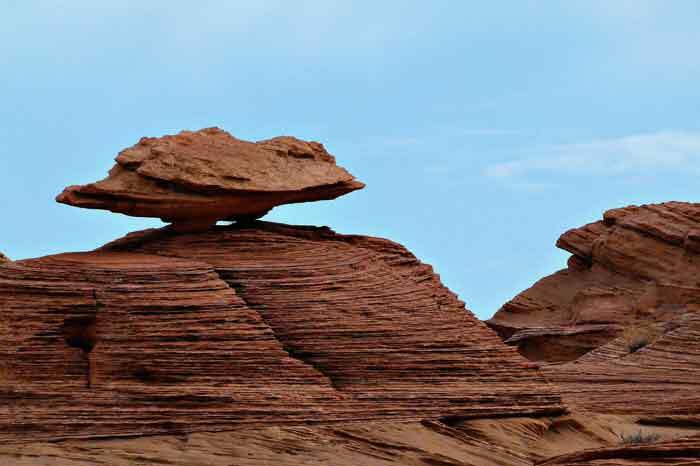 Erosion is most often controlled naturally by geological weathering. Abdul Wahab, "Erosion," in Science4Fun, April 12, 2019, http://science4fun.info/erosion/.